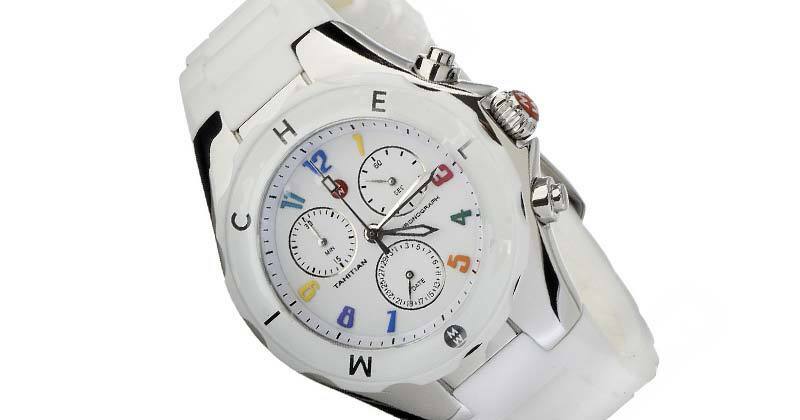 This Michele Tahitian sports watch features a highly polished stainless steel case with a snow white silicone strap. The white enamel dial has coloured hour markers that create a stylish and fun look. Michele Watches transcends global boundaries, relying on international designers to create fine quality timepieces for the world market. Sophisticated and unique, the MW Collection displays cutting-edge fashion, an unwavering attention to detail, and an emphasis on quality and value that honours three generations of watchmaking tradition. Buy your Michele Tahitian white sports watch for women, click here! Michele Womens Tahitian Jellybean White Watch : Michele Watches 0 out of 5 based on 0 ratings. 0 user reviews.